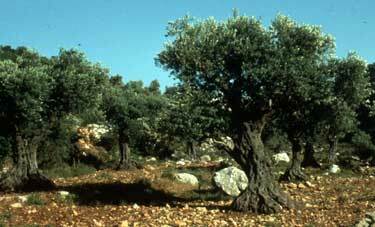 that the natural olive tree (Israel) must and will be replaced by the wild olive tree (Gentiles)? "Therefore I say to you, the kingdom of God will be taken away from you and given to a people, producing the fruit of it." 25 I do not want you to be ignorant of this mystery, brothers, so that you may not be conceited: Israel has experienced a hardening in part until the full number of the Gentiles has come in. 31 so they too have now become disobedient in order that they too may now receive mercy as a result of God's mercy to you. Our Conclusion Replacement Theology interprets the Matthew passage as a proof that replacement was predicted. Yet was it? Does not the preceding context of the parable indicate that this is a warning against the opposing Pharisees? There was a believing remnant who would form the foundation of the early Church. That remnant would produce the fruit of the kingdom. The non-Jews of that Church were to make the other Jews jealous. Instead the Church began to reject the Jews. As clearly stated, God has allowed a partial, temporary hardening of Israel until God's non-Jewish people have been brought to Him. Paul does not say that the tree was replaced, nor even that the branches that were broken off were "replaced" by wild ones. And even if one might consider it that way, Paul says: "All right, but do not be arrogant!" (Replacement Theology is a dangerous proposition as it easily leads to arrogance, anti-Semitism or indifference with regard to the Jews.) For just as God has brought you to himself by grace, God can and will bring the Jewish people back to himself by grace at the appointed time. For all who believe in Him, Jews or non-Jews, Jesus/Yeshua stated: "You did not choose me, but I chose you and appointed you to go and bear fruit-- fruit that will last" (John 15:16) Let us not forget that God clearly chose the Jewish people first. For Jews above all, "God's gifts and calling are irrevocable."